Instead of splitting this one up into separate posts I've smushed them all into one. Remember these are all genuine things I would buy for one particular person, so that might be why some of them seem quite eclectic! Now to give you some context, my brother is a guys guy, outdoorsy, 20.y.o student! - A rucksack because he needs a new one. As you probably know Matty is the one responsible for most of the beautiful pictures on this blog, he's a photographer and loves being outdoors with his dog Tilly. - I picked a bunch of clothes from his favourite brands - Barbour, Montane and Hunter. - A nice satchel, this one looks big enough for all the stuff he carries around! My bestie Ian is a student who loves to cook, drink whisky and play golf. - Mechanical cocktail shaker because he recently mentioned getting into cocktail making and loves some tech. - The BBQ bucket is a cool concept and easy to move if he wants to take it to the beach or elsewhere! - Bally is his favourite brand ever (and he needs a new wallet). - Choice footwear from Sperry and Le Chameau because only the best will do! 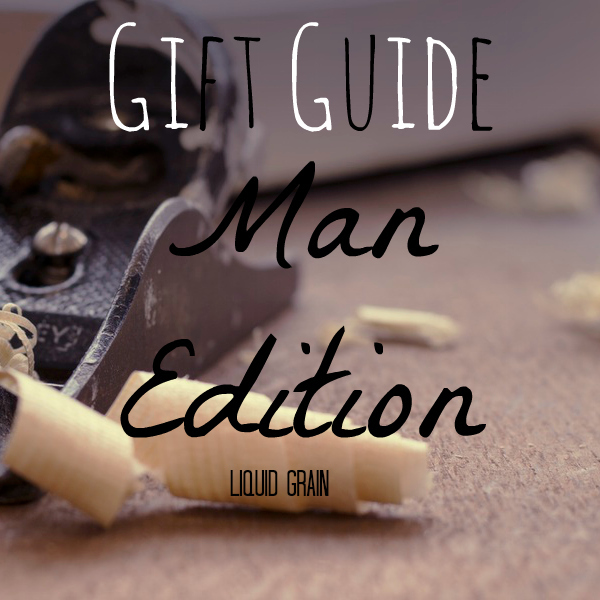 So there is the man edition of my Christmas gift guide, what do you think of my picks? this was super helpful! i especially loved the dad section, my dad is the hardest to shop for! Thanks Courtney, I find it so tricky to shop for him its ridic! Thanks Agata! He needs a new satchel super soon! Aaah Rhian my Dad doesn't drink so that's not as handy!